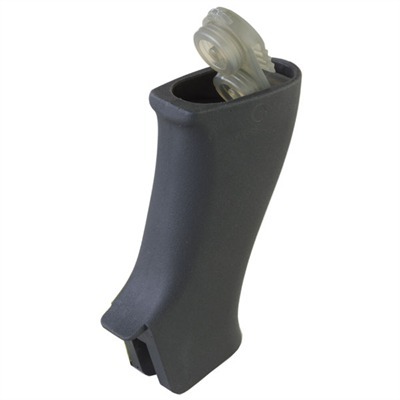 Unique, storage grip features internal cavities for two Aimpoint-type power cells, plus two AA or 123 lithium batteries, or your choice of other small spare parts or supplies. Anti-rattle foam spacers keep everything quiet. Flexible cap includes integral seals to protect contents from dirt and moisture. Curved backstrap is shaped to fill and support the hand and provides the correct finger-to-trigger position; aggressive grip texture ensures positive hold. Includes stainless steel, Dry-Lok attaching screw and installation tool. SPECS: Resin-impregnated polymer, black, dark earth, or foliage green. 4-1⁄8"(10.5cm) high. 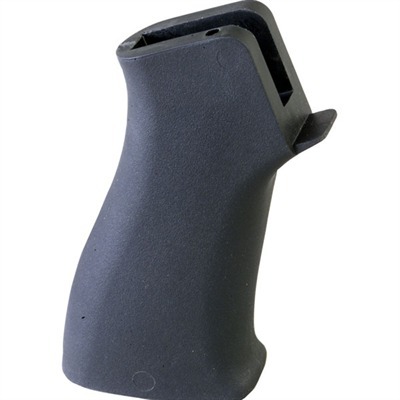 Fits rifles that accept standard AR-15/M16 grips.